In his conversation with “The Guardian”, Steven Moffat, the writer of British TV Serial – Sherlock – mentioned that “There is a clue in the episode which everybody’ missed”! 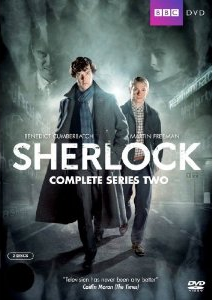 Of course, he was talking about Episode 3 – The Reichenbach Fall, which was eventually the final episode of the season. As we have mentioned in the previous article that the episodes of Season 2 of Sherlock reflects the challenges for love, fear and death respectively. So here is the time for the last one. Over the period of time Sir Arthur Conan Doyle, the creator of Sherlock Holmes was so annoyed with (the character) that he decided to kill him! And he did the same in his story – The Final Problem. However due to strong response of the readers, the author had to bring Sherlock back! The adaptation of the same story is quite tough not only because Sherlock have to die at the end of the episode because Sherlock has to die convincingly in a way that he can then reappear (that also convincingly)! Which was a challenge, of course. For that reason, around the time the episode was originally aired, Steven had to answer such queries in various interviews. In one interview he mentioned that one thing Sherlock did in this episode which was very out of his character (giving hint that how he did survive the death. The way the episode title chosen is also interesting. 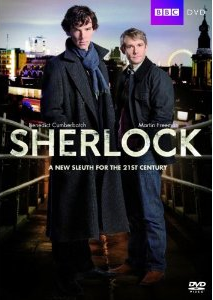 In the original story, Sherlock and Moriarty were met with their deaths when engaged in a fight at the Reichenbach Falls in Switzerland. In the TV adaptation Moriarty dons a fake identity of Richard Brook (or Rich Brook, “reichen Bach” in German)- which is also reflected in the title in genius way! The episode remains largely faithful to – The Final Problem – short story. It is also integrated with modern technology stuff including mobile phones, hacking and more. The script is written so tightly that reader’s interest isn’t lost throughout in the episode. The episode have comparatively more dialogs. As there are more of mind games than the physical which are being played. The dialogs have the sparks needed. It is said that you cannot create heroes (and expose his abilities) without creating equally strong anti-hero. It is done successfully here through the character of cold-blooded villain Jim Moriarty. In addition to Benedict (as Sherlock), Martin (as John) and Rupert (as Lestrade), Andrew Scott is the top-most performer (as Moriarty) of the episode. He represents all the menace convincingly and effectively. Sherlock is very famous now and almost anything he does gets to the headlines. He was not very happy with the fame though, but he cannot do anything to get rid of it. Even there is a kind of fan club of Sherlock established by his admirers. The people whom he helped in solving problems talk about him fondly. It was kind of picture perfect when one day Moriarty strikes with a fantastic plan. He breaks into a bank and gets himself caught by the police! He knew that Sherlock would be called to testify about him. MyCroft came to know that several assassins hired some flats in the neighbourhood of Sherlock! He alerts John about the same. Over the period of time, Moriarty plays his game so fantastically and convincingly that you will be flattered seeing it. He expose a theory that Sherlock is no a super-detective or anything. He rather uses official sources and does crime by many ways and then over the period of time, he comes to resolve them! His claims go viral, and the planted scenarios made him able to prove his point!!! Now, Sherlock is not fond of material happiness like wealth, property and other such stuffs, as we know. His entire career or we can say life came at the stake due to this claim. Moriarty dons a fake identity and explains people that he is an actor who was hired to do what he did! And, Sherlock is the one who hired him!! So now there remains no way out for Sherlock. What will he do? Well, better to explore this thrilling episode on DVD. If detective fictions are your cup of tea, don’t miss it. The fantastic sound quality and nice cinematography makes your experience rich.